Manufactured, designed, developed and marketed by SONY MOBILE, a full HD Android flagship high-end smartphone and touchscreen enabled, Sony Xperia Z. 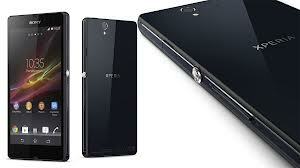 Released in February 2013 in public, the Xperia Z run by the Android 4.1.2 or the Jelly Bean software. This phone is dust protected,water-jet protected and a waterproof in up to one meter water for up to thirty minutes and a camera features of 13.1MP Exmor RS with a full HD (1080p) display, encompassed in Sony's Industrial 'Omni-Balance' Design. A rectangular like slab that mark's a departure from Sony's 2012, with subtly rounded edges adn smooth, refective surfaces on both sides that held together by a skeleton frame made from glass fiber polyamide. An 'OmniBalance' design, which focused on creating balanced and symmetry in all directions. Covered with shatterproof tempered glass on front and back, the phone is formed of the aluminum power button in the right side of the device. This metallic look is inspired by a luxury watch crown design which available in three colors; black, white and purple. - 139 x 71 x 7.9 mm phone's dimensions and weight of 146 grams includes its battery. 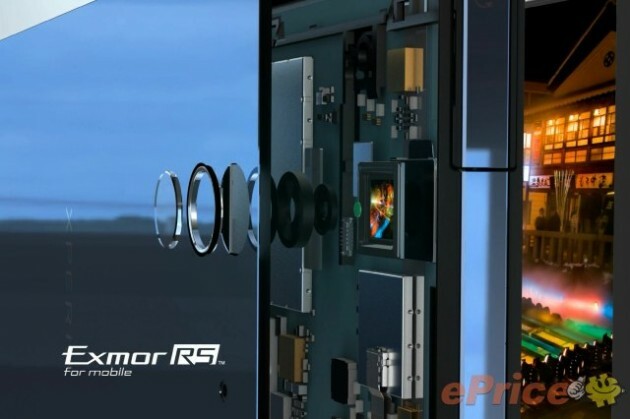 - Reality Display with Mobile Bravia Engine 2 which uses the screen that enhances the pictures. - back is Corning Gorilla Glass. Runned by Android 4.1.2, there are also some software additions that includes Sony Media applications such as:Walkman, Album and Videos. NFC is also a core feature of the device, allowing 'one touch' to mirror what is on the smartphone to compatible TVs or play music on a NFC wireless speaker. 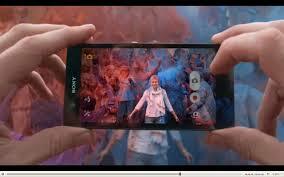 Additionally, Xperia Z includes HDR video recording capability, battery stamina mode which increases its standby time up to 4 times.